The multiplayer showdown** you know and love is now on the Wii U console! Take on all comers as Mario, Mega Man, Sonic, and more gaming greats. Or tap an amiibo* to the Wii U GamePad controller to train it up by battling with or against it. 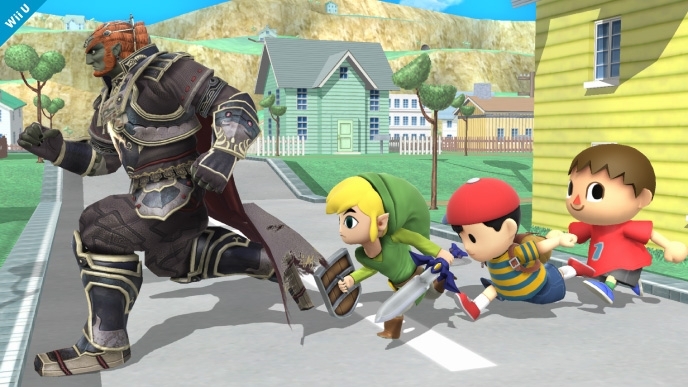 You can even pit your amiibo against a friends’ to see how your training methods stack up. Whether you’re creating stages on the GamePad, competing in challenges crafted by Master Hand and Crazy Hand, or outwitting your opponents in a brand new board game mode, there’s no doubt that the ultimate Smash Bros. game has arrived.